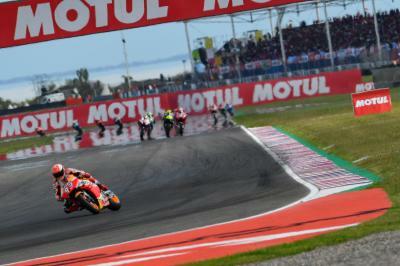 Repsol Honda Team’s Marc Marquez was back to his best at the Gran Premio Motul de la República Argentina as he topped MotoGP™ FP3 with the fastest lap of the weekend. The reigning World Champion went a second quicker than he did in FP2 thanks to a 1:38.471, asserting his dominance ahead of qualifying this afternoon. ???? @marcmarquez93 isn't hanging around! 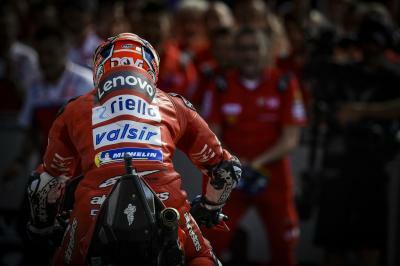 Fifteen riders were covered by a second with the biggest improvement by far coming from Marquez’s teammate Jorge Lorenzo. 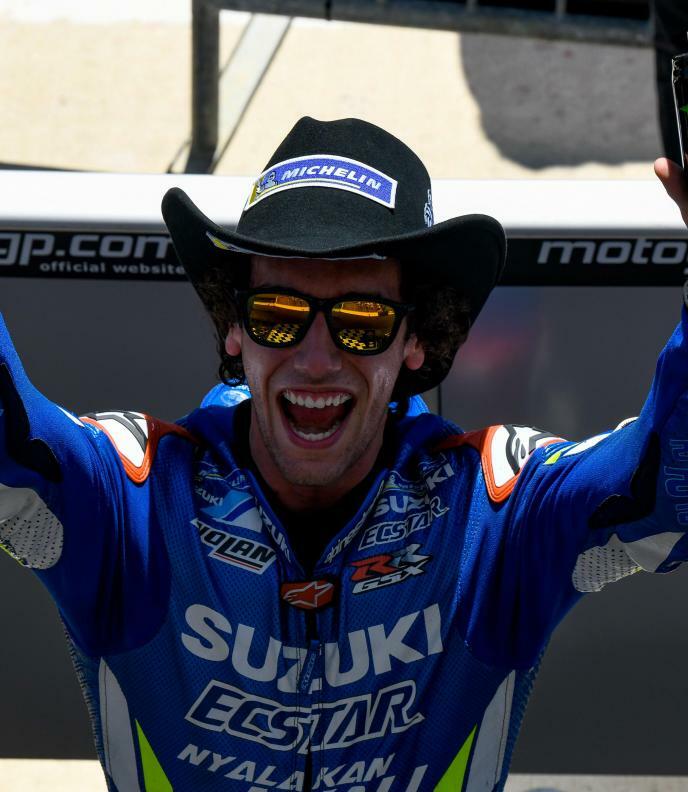 The Spaniard was 21st at the close of play on Friday but managed to secure a Q2 spot by jumping up to ninth place in the final minutes of the session. Second quickest was Pramac Racing’s Jack Miller, closely followed by LCR Honda Castrol’s Cal Crutchlow. Monster Energy Yamaha MotoGP’s Maverick Viñales also moved straight into Q2 after ending the session fourth. 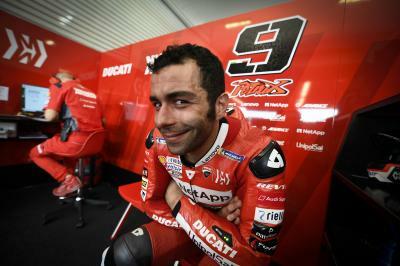 Mission Winnow Ducati’s Danilo Petrucci made the jump from outside the top ten ahead of FP3 to go fifth quickest, whilst Franco Morbidelli (Petronas Yamaha SRT) held on to a top ten spot, eventually finishing sixth, to move directly into Q2. 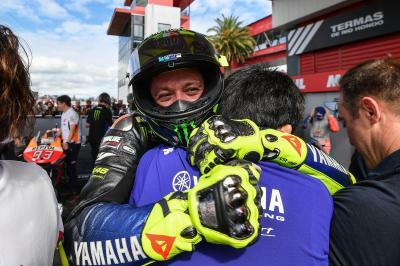 Valentino Rossi made it two Monster Energy Yamaha MotoGP machines in Q2 by sitting seventh on the timesheets. Championship leader Andrea Dovizioso (Mission Winnow Ducati) just about held on to a Q2 spot despite crashing out, unhurt, at Turn 1 with five minutes remaining. The Qatar GP winner didn’t improve on the lap that saw him top yesterday’s FP2 session, seeing him drop to eighth overall. Lorenzo made it two Repsol Honda Team riders in Q2 after he also improved by a full second from yesterday to go straight into Q2 for the first time this season. 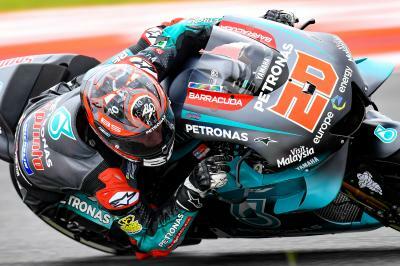 Taking the final Q2 spot right at the death was Petronas Yamaha SRT’s Fabio Quartararo after the Frenchman knocked out LCR Honda Idemitsu’s Takaaki Nakagami with the chequered flag out. A frantic finish to FP3 sees @marcmarquez93 back on top! ???? Both Team Suzuki Ecstar riders Alex Rins and Joan Mir will have to through Q1 later after Rins failed to improve on yesterday’s FP2 lap time. The pair ended 15th and 17th respectively. 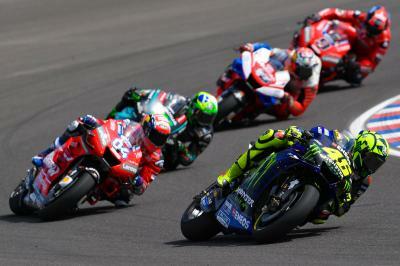 MotoGP™ FP4 gets underway at 14:25 local time (GMT-3) before Q1 kicks off forty minutes later at 15:05 local time (GMT-3).